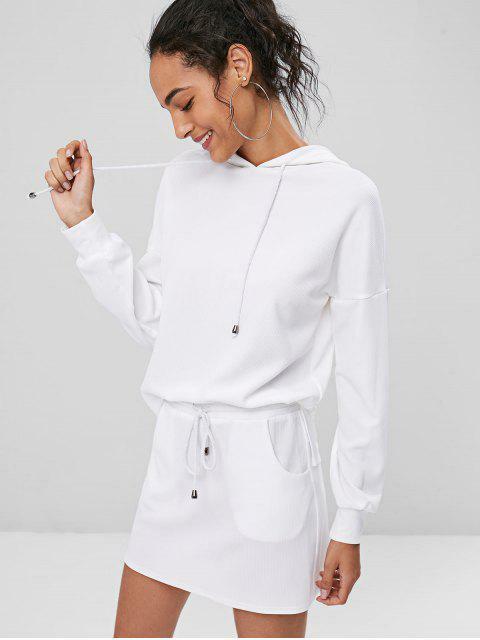 [55% OFF] 2019 Drop Shoulder Hoodie And Mini Skirt Set In WHITE | ZAFUL .. I wear this set everywhere it is so comfy and cute. I ordered a size M and I am 5’7 125lb for reference. I gave it 4/5 starts only bc you do have to always make sure to wear underwear that won’t be seen under the skirt because it can be see through in the sun. Besides that, totally worth your $. 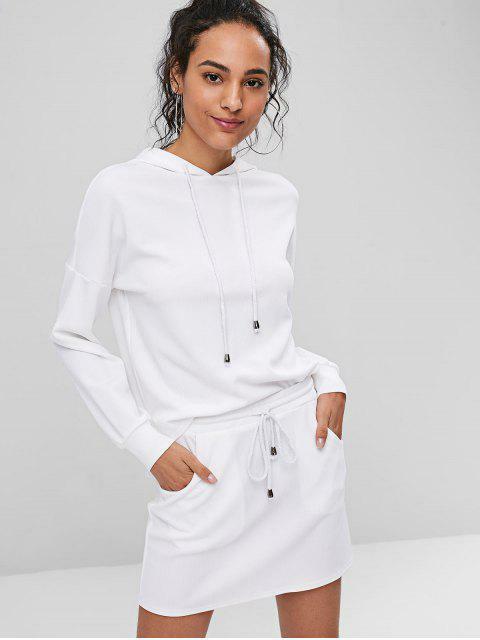 With an adjustable hood and stylish drop shoulder on the top, and a mini drawstring skirt styled with patch side pockets, this casual two-piece set is sure to be a favorite for your weekend or relaxing holidays. Style the hoodie with your skinny jeans and board shoes will look perfect!